The Hoodie Project kicked off The University of Miami’s 2019 Social Justice Week. Spearheaded by the Butler Center for Service and Leadership, the large, black hoodie sculpture loomed in the Whitten University Center lower lounge for a week. The purpose of the project was to demonstrate the problem of racial injustices that are currently plaguing the country. Students of all backgrounds were encouraged to write on the hoodie, scribbling down their thoughts on the various topics and issues related to racism and discrimination. This installation was just one of many social justice events throughout the week, yet it was the only event that sparked controversy. The University of Miami’s official Instagram page posted a picture of the Hoodie Project, stating that it was a part of a series of week-long events. Many individuals took to the comments to express their thoughts on the university’s decision to have this artwork on display. While there was a wide array of positive feedback, there were also negative comments. Some individuals stated their disappointment in the project, saying that it only created division among the students and was simply based on a false premise of what was going on in our society. 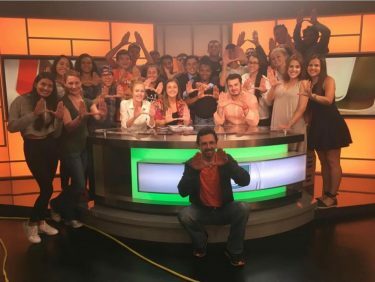 Although most of the comments did not necessarily come from current UM students, many were from alumni who had been or are currently involved with UM. These negative comments stirred up a lot of backlash among the many students of color who took this opportunity to respond to the negative feedback and offer their perspective on the artwork. The purpose of this installation was to bring the campus community together, not create division. Still, many individuals seemed upset with this piece and the message it was sending. If the message was meant to spark conversation about racism and prejudice, why did it engender such a negative response? 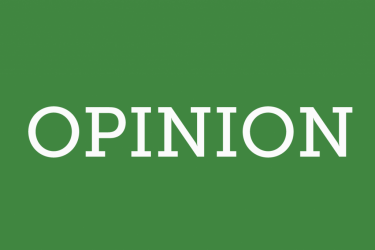 Because people of color are constantly being overshadowed by white voices, we rarely get to see issues pertaining to us being represented or supported by the campus community. Having this hoodie on display finally gave POC students a chance to express their thoughts on the current issue of societal racism in a meaningful way. Many times when students of color offer their perspective, it seems to create anger across the rest of the campus. The anger behind such a positive social message sheds a lot of light on not only the ignorance of many UM students, but also the political climate of our campus community. It is sad to see the lack of support around a social message that was meant to create unity and equality amongst our community and to show support for minority students. UM seems to take great pride in its efforts to promote diversity and inclusion around campus, yet students of color, more specifically black students, are never welcomed when it comes to spreading awareness and support about the issues impacting them. Karina Sloan is a junior majoring in communications studies.